Subaru is finally replacing the Legacy Tourer in the UK with the Levorg GT as it aims to widen its appeal in the UK. The estate will go on sale in September with prices of around £25,000 expected. The estate will sit alongside the latest Outback as Subaru looks to rebuild its standing in the UK after a fairly disastrous few years. It will no doubt hope that its long-standing reputation for building well engineered and tough cars will help it win back customers. As with all Subaru models, the Levorg GT will come with symmetrical all-wheel drive but the big news is the introduction of a new 1.6 DIT petrol engine. 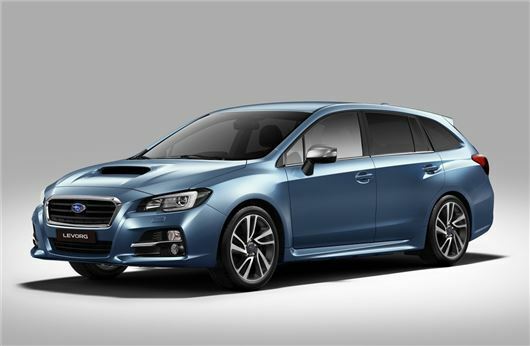 Developing 170PS, the boxer unit comes with a six-speed CVT gearbox - called Lineatronic by Subaru. Subaru says that while the Levorg isn't any bigger than the Legacy in terms of dimensions, clever packaging means it will have more interior space. It is also promising much improved refinement with bespoke seats and premium materials.